The QR is an acronym for “Quick Response” code. It is a matrix or 2-dimensional code that is capable of including links, text or other information and can be interpreted quickly by smartphones and other camera equipped mobile phones. A scan of this QR code with a cell phone will direct you to a specified page containing the required information. With the increasing popularity, this code is becoming more visible in magazines and on other places like advertising boards and even business cards. The QR codes are considered to be more useful than standard barcodes. While bar codes are one-dimensional linear codes that are capable of holding up to 20 numerical digits, QR codes are 2-dimensional matrix barcodes that are capable of holding thousands of information like alphabetic and numeric characters, binary, Kana, Kanji, Hirangana, symbols and control codes. In one symbol, it can encode up to 7089 characters. Moreover, a QR code is capable of storing much more data in a smaller space, including geo coordinates, URL links and text. Therefore, it can even trigger actions like downloading a file or launching a website from a smartphone. The best aspect of using QR codes is that they can be read from any angle and does not require the thick hand-held scanner for scanning purposes. In fact, it is the ease of use and capability of the QR codes to hold more information that makes them viable for even small businesses as a marketing strategy. The QR codes can be generated for free by a number of sites. A single search on the Internet for QR code generator will provide numerous choices, the prominent among them being http://goqr.me and http://createqrcode.appspot.com. The available codes should be saved on the computer for use in display ads, print mediums or anywhere else. The most critical element is a convincing reason for the usage of a QR code that will be recognized by potential customers and make them willing to scan the code and activate it. Why QR Codes are required? Not only QR codes but other 2-dimensional codes have become essential as they can be readily incorporated into the present practices of business marketing. They are used to convey online content to a mobile audience and that too, in real time. On the websites of the users, a QR code can be generated beside every product to contain the details of the product, the URL link to the specific page and the number to call. It can also be added to the business card and should contain the contact details of the users so that it is easier for the customers or the potential ones to add the user to their cell phone’s phonebook. By implementing QR codes for business purpose, you can enable customers to link their mobile phone to a web browser and connect to web’s digital content, activate phone functions like IM, email and SMS and provide the customers immediate access to the relevant things. Before discussing the practical uses, questions might arise regarding where, for what purpose and how the QR codes can be used. In fact, several ways of using the QR codes is linked to the answers of these questions. They can be used in a variety of places like on the front or back side of your business card, event and convention nametags, brochures or other marketing materials, packaging and product tags, point-of-sale receipts, restaurant menus, event ticket stubs and even, on the sides of trailers and trucks. The QR codes can link to a wide array of things like installation instructions, directions to your business, special offers and valuable coupons, free MP3 downloads, sources for service and replacement parts, process of hiring professional services, recommendations for complimentary services and products and customer feedback forms. With the QR codes, users can maximize their effectiveness. It can be used to encourage actions supporting your marketing plan, give reasons to revisit, study analytics, experiment with its own size; colour and location, provide explanations about benefits and use of things, tone down the fears of the technically challenged and make the process fun like the QR code scavenger hunt. How can QR Code Marketing Help? As an element of the marketing strategy, QR codes can be used for helping businesses by directing a visitor to the user’s website, giving additional information to the customers about a service or product and directing customers to special discounts or offers. The codes can also be used for sending email with any information required by you, sending a text message and making a telephone call instantly and immediately downloading the contact details of the users to the smartphones of the customers. 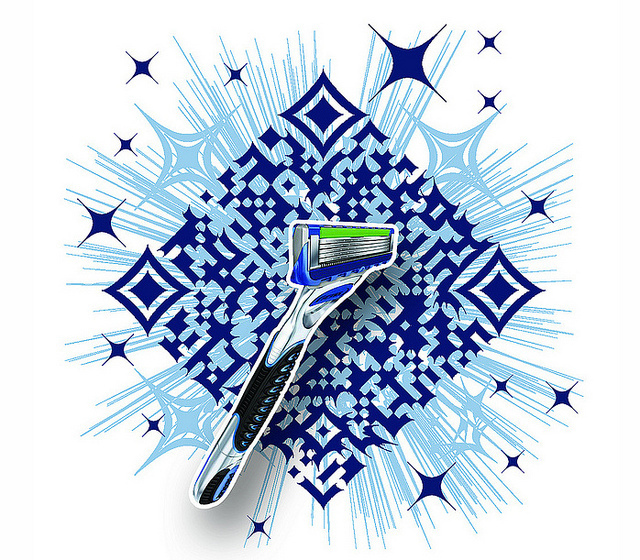 With just a little creativity, a QR code can be programmed to do almost anything. In terms of wider advertising campaign, the QR code marketing sets the users ahead of their competitors. The ability of QR codes to connect people and trigger multimedia digital content as set in is very handy for businesses and consumers alike. It is said that the QR Codes generally make its users tech savoir-faire and socially connected personalities. By using these tools, a brand new campaign is created by the users to infiltrate consumer ad blindness and market their product. A social QR code can be created by the users that link to their Facebook and Twitter profiles and let others scan the code to like your product. It is very useful for companies as Google considers the information from social sites to be a factor contributing to the search engine results. Thus, improving visibility on social networking sites will enable users to improve visibility on Google. To generate more buzz regarding their brands, users can combine QR codes with smartphone applications and social tools such as Foursquare. Users can set up their business on Foursquare, which is a location-based service. Users are usually rewarded by this kind of service for completing tasks such as ‘checking in’ at a restaurant. A QR code needs to be created by the user for their company that will include information aimed to enhance the knowledge of the customers regarding their company. Incentives and badges should be offered to those individuals who are capable of locating and scanning the QR code of their company successfully. To augment the challenge, users can make the code hidden or more discrete. When the code is scanned by the customers with their smartphones, they can be further rewarded by giving entry into a contest. The customers should be given the option by the users to spread the word about their company by means of the social networking sites. The promotion of the users and their company is facilitated by the use of Foursquare application. However, if you are confused about whether customers will use QR codes; remember that those customers who will use the QR code are likely to have a high tech know-how and make them more receptive to the presence of your website, Facebook, YouTube, Twitter, MySpace or any other social media presence.